Nuclear radiation is useful in modern medicine, and beyond. Kromek is a County Durham-based company who make radiation detectors for the medical, nuclear and security sectors. 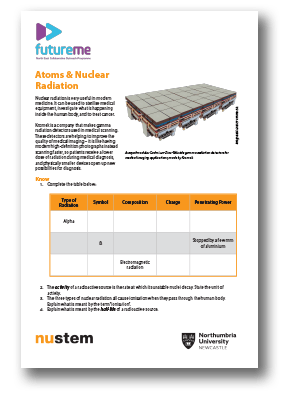 This worksheet builds on students’ knowledge of radiation, in the context of medical applications. Click to download PDF worksheet (346kb).